Our Winter cover star author Shaka Senghor is a member of Oprah’s SuperSoul 100, a writer, mentor, and motivational speaker whose story of redemption has inspired thousands. 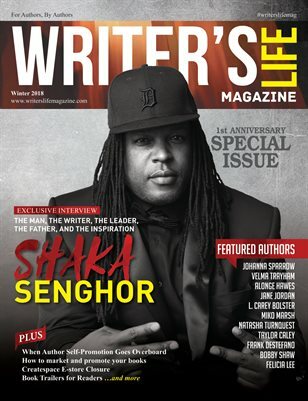 In this issue, you can check out our exclusive interview with Shaka Senghor as he shares with our readers the inspiration behind his New York Times best selling book, Writing My Wrongs!! !